Relation with a resource being described: Resource has holding or location information. It is considered important for a resource to be located and obtained in the information exchange. 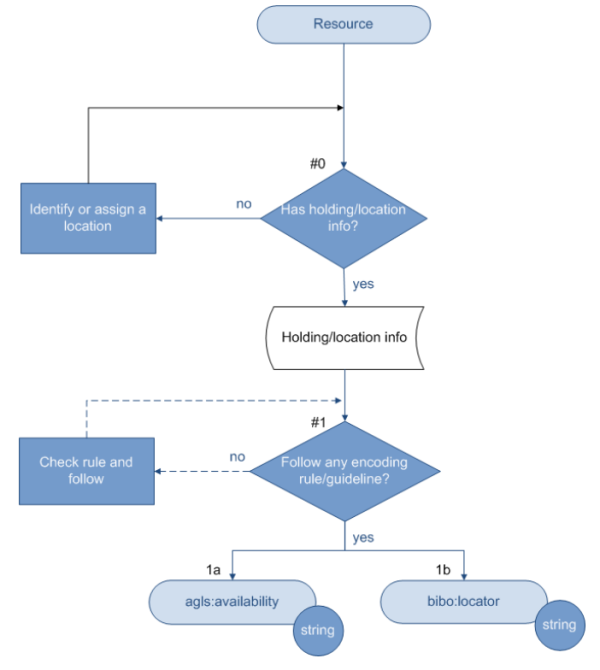 Location/Holdings is considered essential information in the description of resources; therefore the flowchart below foresees location/holdings as a mandatory property. *It is always recommended that location information is provided consistently by following an encoding rule or guideline.